TRADE Union leader Sheila Nunan has been selected as the Labour Party’s candidate to contest the European Elections in the Ireland South constituency. Ms Nunan won out over former Labour TD for Clare, Michael McNamara, who also contested today’s selection convention in Cork. 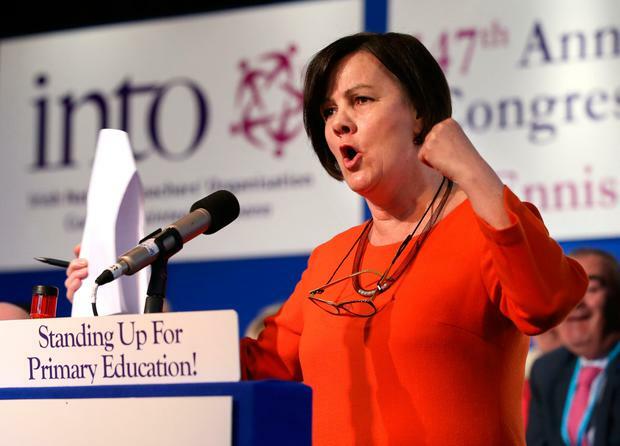 She is former general secretary of the Irish National Teachers’ Organisation (INTO) and is president of the Irish Congress of Trade Unions. A Labour statement said Ms Nunan is “a strong advocate for decent work, decent pay and quality public services”. Ms Nunan said: “The tide is turning in this country. Ordinary people see the need for strong Labour values at the heart of government decision making, here and in Europe. Brexit has exposed the fragility of our relationships with our neighbouring countries and the need to ensure Europe delivers for the many and not just the few.